We can make chappatis more interesting and tasty by adding select ingredients while preparing the dough. Coriander or cilantro leaves and seeds are extensively used in Indian cuisine. This herb is rich in vitamins A, B6 & C, dietary fiber and minerals mainly iron and calcium. Coriander is used to treat stomach upset. It has anti-inflammatory and antiseptic properties, and is believed to reduce blood sugar and cholesterol. Coriander leaves are often used as a flavoring agent. 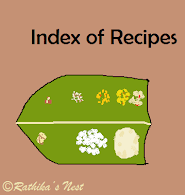 You can also make chutney, curry, thokku, mixed rice and chappati with coriander leaves. Roll a dough ball into a chappati on a board using a rolling pin, dusting with flour as required. Heat the tava on medium flame. Once hot, place the rolled out chappati on the tava. Use ghee to cook the chappati. Turn it over and cook both sides till brown spots appear on the surface. Serve hot with curry or gravy preparation and salad.